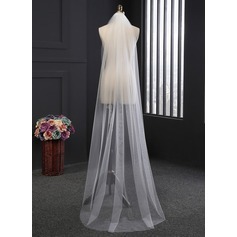 Great value for very nice veil. 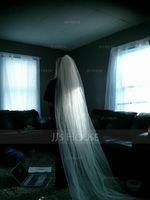 Don't get ripped off by bridal salons, this veil is perfect for pictures. I highly recommend. simple, lovely, & GREAT VALUE! I would never buy one from anywhere else if i ever needed again! 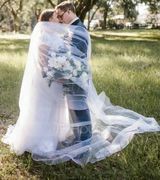 THis peice absolutely MADE some of my favorite wedding shots! It's perfect, long and full just the way I had wanted it! The veil is absolutely beautiful! The veil came in the mail in a timely manner and was exactly what I was expecting. You can't beat the price anywhere else! 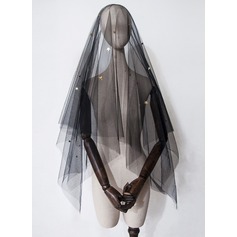 This veil is so beautiful and long. It's perfect. Good quality !! Although, this veil is simply. 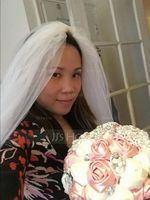 It goes perfect with my daughter's wedding gown. What more can you ask. Happy with purchase. Thank you JJ"s House. I would recommend your website to anyone. Such fast service. Beautiful. Will definitely buy from you again.